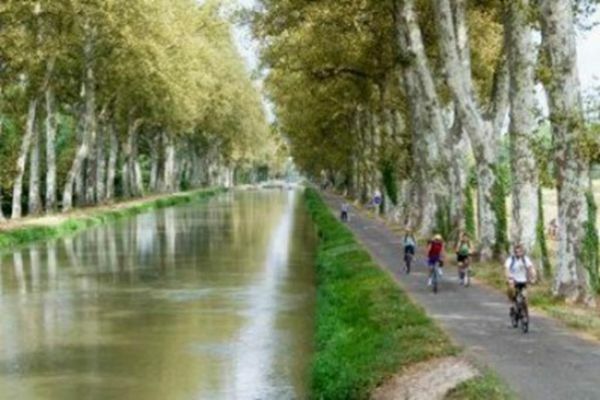 The Montech Canal, built at the same time as the Canal de la Garonne, stretches for 11 km between Montech and Montauban and has 11 locks (9 + 1 double lock). Closed to navigation in 1990 and completely renovated (the locks are all automated), the Montech Canal once again connects the Tarn and Montauban Canal Lateral to the Garonne. Since the reopening of its channel in 2003 Montauban is again accessible to navigation. It is in 2011 that the Montech Canal allows a walk of 9 km on the Tarn until Corbarieu. This bike lane is laid out on the old towpaths and totally secure. It is reserved for non-motorized trips. Certified greenway bike since August 2017.